After Gov. Andrew Cuomo suddenly called off the long-planned L train shutdown earlier this month, touting a new, “innovative” plan to repair the Sandy-damaged Canarsie Tunnel, many questions remained—namely, how commuters would be impacted, and what would happen to the extra service and other alternative service plans the MTA and NYC DOT had been working to implement for years. According to a memo obtained by Streetsblog and the , we have a possible answer: nothing good. Per that memo, changes that would be implemented as part of the new Canarsie Tunnel repair plan could cause major headaches for subway riders. Some of those have already been reported, such as 20-minute headways during overnight service on the L train. Others, however, have not: Per the memo, the agency is looking at making the stations at First and Third Avenues exit-only on weekends, cutting the long-planned 14th Street busway altogether, and canceling ferry service from Williamsburg to Stuyvesant Cove. This is a big change from the previous mitigation plans that would have been implemented during the originally planned 15-month shutdown. Those included turning 14th Street into a dedicated busway, implementing a new bus route between Brooklyn and Manhattan that would have traveled over the Williamsburg Bridge—which is also now off—and service increases on other lines, including the G, J, and 7. Some of those improvements will remain in place, according to Streetsblog. The MTA disputes the validity of the report. Streetsblog notes that the memo was dated January 22. Meanwhile, an internal MTA document obtained by Gothamist warns of massive overcrowding at L train stations, including weekend crowding that could be “greater than anything ever experienced on the NYC subway system on a sustained basis.” It lays out some of the worst-case scenarios that riders could experience under the new not-a-shutdown plan: waits of 40 minutes at the busiest stations (Bedford Avenue, First Avenue, Third Avenue, and Union Square); access to platforms at certain stations may need to be restricted; the mezzanines at Union Square may “quickly deteriorate” as throngs of people attempt to switch to other trains. The memo also notes that the L’s current weekend ridership—about 8,000 passengers “in peak hour”—is far greater than the expected capacity if trains are running with 20-minute headways. Ultimately, the report concludes, “net travel time impacts could be worse with one-track closure than with two-track closure.” Yikes. 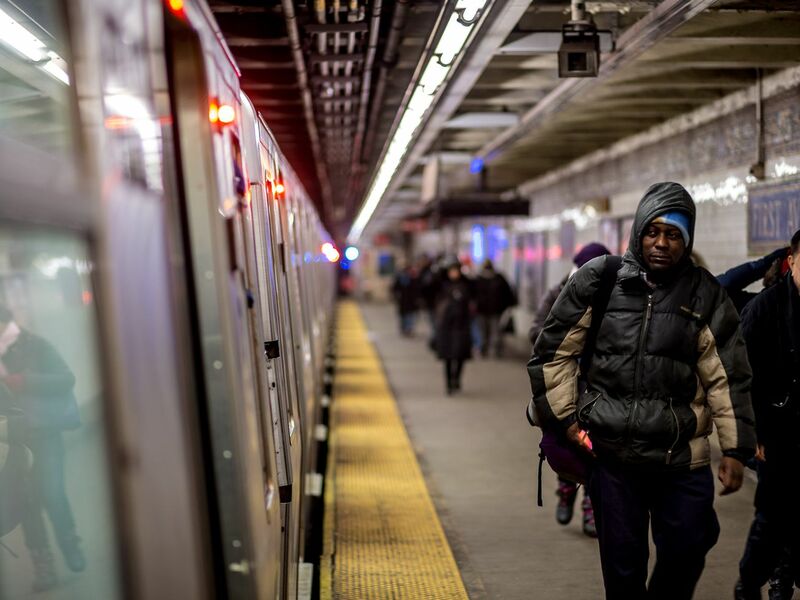 The MTA recently announced that its Capital Construction division will take over the new Canarsie Tunnel repair plan, which was proposed by engineers from Columbia and Cornell universities, who toured the tunnel with Cuomo in December. The agency’s board has pledged to conduct and independent review of the plan, though a timeline for that has yet to be announced. The L train shutdown was scheduled to begin on April 27, just three months from now.